A good masala blend is always the key to a great curry. The aromas, taste of the curry are from the spices and if that is not blended in a good proportion, it almost always messes up the taste of the curry. 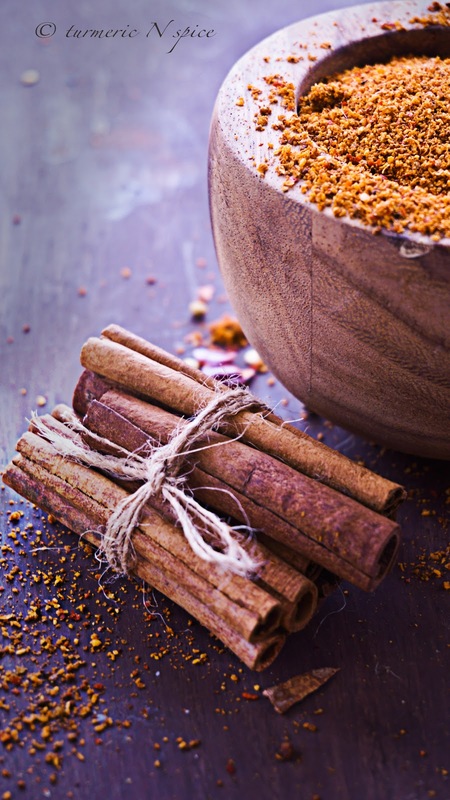 I love to create my spice blends and am really proud (sometimes over the top) of the creation. Some of the recipes have been passed down to me either from my mother or from my mother-in-law, sometimes I incorporate both of their recipes and some times it is my own. 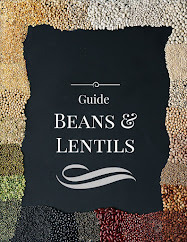 The recipes from Southern Indian are usually traditional recipes (in my family), some of them are heirloom and are in the family for generations. I am fortunate to be part of a family where food has a big role to play. My mother and mother-in-law have stories about recipes, ingredients, dishes and great cooks in their family... stories about meals three decades ago, still remembered and talked about . Who said food is just a meal for today... it is a memory and an experience that can live on in your mind and can even be passed on. I really hope am able to create magic on a plate that will be remembered in three decades, that is something ! To my friends who are not from India, a little introduction about sambhar masala. 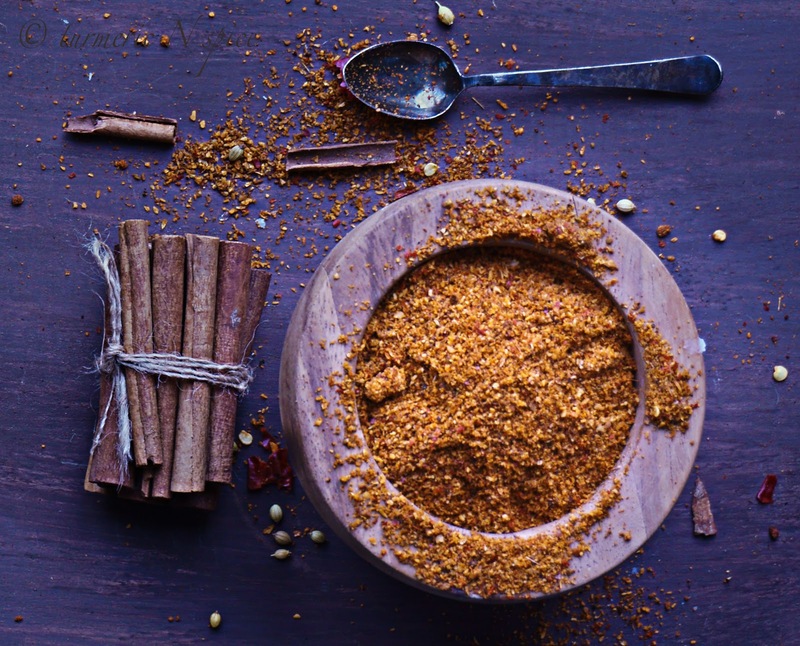 Every curry has its own spice blend. Sambhar is a curry made from lentil, coconut or/and vegetables. This is a spice blend for that curry. It is usually enjoyed with a hot cup of steaming rice and a dollop of ghee. It can also be enjoyed with dosa ( a lentil crêpe) or idli (rice pan cakes). The taste is spicy, tangy, balanced with a hint of sweetness. You just have to taste it and before you know it you will be enjoying multiple servings as a broth. Don't you just love the colors. Roast the above ingredients in oil (except the coconut), till you can smell the aroma. Wait for it to cool. Add the dry coconut powder and dry grind OR add the fresh coconut and make a paste. As simple as this... you can make a small amount for just once or make in a large quantity and store for up to 3 months. If you make the wet paste, you might want to use it up in a week, or make the dry paste without coconut and add the coconut to the dry powder and make a wet paste, whenever you want to use it. 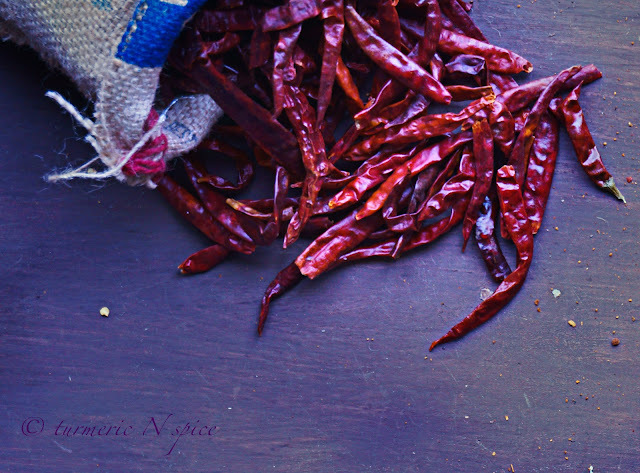 I will be posting sambhar on the blog soon, for now the spice blend. 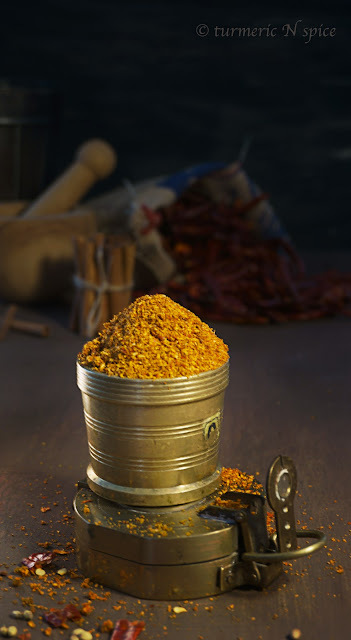 am tired of of being dependent on store bought sambhar powders. have beenstruggling with many recipes but not quite satisfied yet. this looks great. will try soon and will let you know. How beautiful you have made sambar powder appear. love ur photographs...what camera and lens that you use? Satya, Thank you. 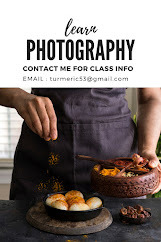 I use Nikon D-70 my favorite lens for food photography is the 50mm. I also use Sony Nex-6, lens : 16-50 mm. I need to get a fixed lens for the sony. It is an awesome camera and on the verge of making my Nikon extinct. For this shot I have used the sony. Your photography has always been spectacular, but these photos are amazing! I love when you post about spices - I have so much to learn! Thanks Dawn, I know you love spicy food and your husband enjoys Indian flavors. Let me know if you try this. awesome clicks to go with homemade blend. Nice post. What is the metal container below...beetle box? Well the presentation is awesome .. as always! Gauri, that is an old compass that i had bought from an antique shop years ago. Thxs !! like the lighting in your first picture.. looks like a cookbook shot :) well presented.. Thank you so much, you made my day ! What beautiful photos! 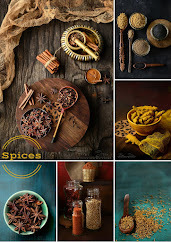 That looks like a wonderful spice mix and I have most of those in my pantry.